US Fund for UNICEF president and CEO Caryl Stern was in Bangladesh recently with Olivia Harrison, widow of former Beatle George Harrison. “We are nearing the end of our second day in Bangladesh and I want to share some of what I am seeing, feeling, experiencing,” she wrote in a letter. 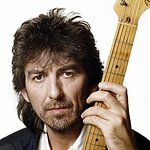 "George Harrison is beloved here, and traveling with Olivia Harrison is like traveling with a rock star. Our day started at the UNICEF Office. The staff members who are old enough to remember George’s Concert for Bangladesh expressed their gratitude to Olivia – we all cried. “As for the children to young to remember George, we take joy in seeing how his legacy continues to affect their young lives. For instance, at a UNICEF-supported center for street children. Kids from age 8 to teenagers come to the center because they are in Dhaka without a home or a safe place to sleep. They learn crafts here as well as music and dance, and they participate as peer educators and activists for children like themselves. “They sang for us. When they sang, “We Shall Overcome,” my eyes filled with tears once again.